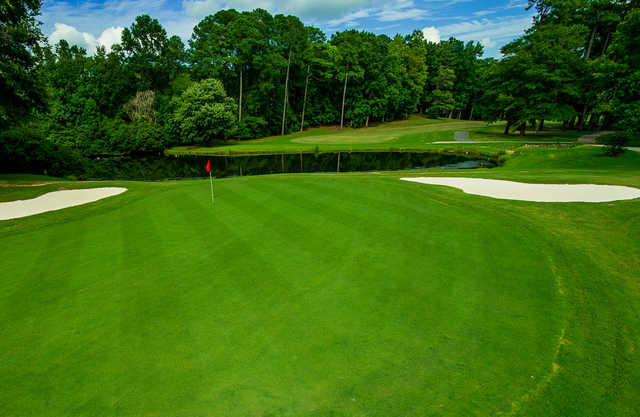 Located near the banks of Swift Creek, Lochmere Golf Club has plenty of water incorporated into the layout, coming into play on nearly every hole. 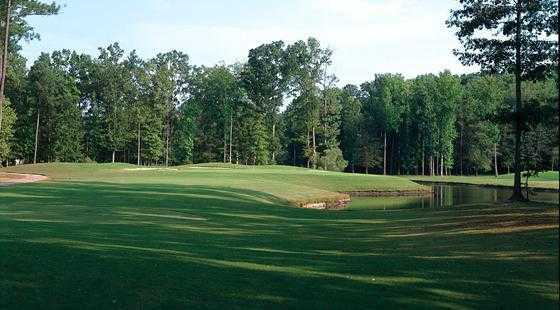 The golf course stretches across a lush, gently rolling landscape sprinkled with mature trees and ponds. 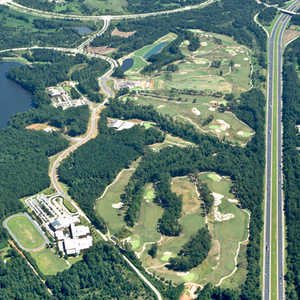 The terrain showcases the best in Triangle golf. At just over 6,600 yards it is not particularly long, but it provides plenty of challenges. 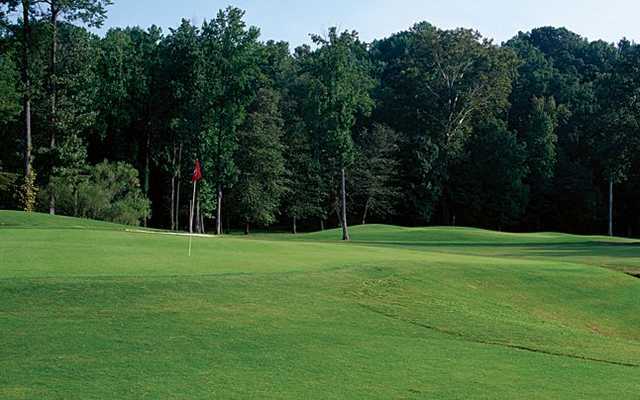 It is a tight course that will test your accuracy with narrow fairways lined with trees. The small greens that are heavily protected by well placed bunkers demand thoughtful strategy and pinpoint control. 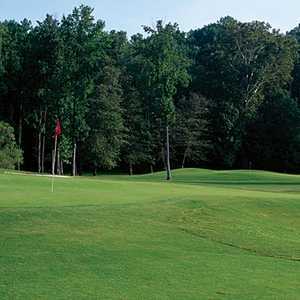 The golf course offers a fair challenge but it is still accessible for beginners, especially from the forward tees. 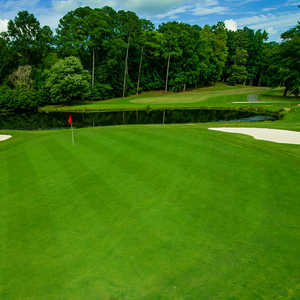 Lochmere G.C. 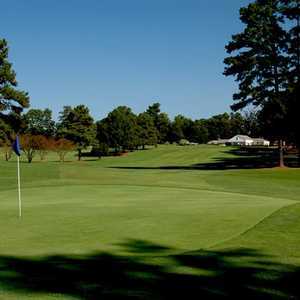 is a favorite among Cary locals, both for its enjoyable design and its affordable rates. Dress code: No cut-off jeans, swimsuits or tank tops are permitted. Men must wear shirts with a collar at all times.